Choosing the type, colour, material, and style of roof shingles is essential to make sure it meets your needs and budget and complements the architecture of your building. Having over 20 years of experience in providing reliable roof consulting services, we can help you select the right shingles for your home. Asphalt Shingles – also known as 3-tab shingles, are flat, light, and affordable. Slate Roofs Shingles – are durable, waterproof, and fire resistant. You must choose their size and shape according to the dimensions of your roof as well as the architecture and structure of your building. If you live in an area where the growth of algae is common, you may want to consider shingles that have guards against discolouration due to mould. To keep your roof and home safe, choose shingles that are certified with a Class A fire rating to offer protection and are effective against exposure to continuous heat. If you live in an area that receives heavy rainfall, you may want to consider materials that are waterproof to avoid leakages. Consider the style of your home, whether it is modern, traditional, ranch, or colonial, to choose the shade of the shingles. The general preference is to select a neutral colour for the shingles. This is because it will benefit you even if you decide to sell your property in the future. You could also choose any striking shade if it complements the design and structure of your home. If you spot a particular home that has an attractive roof, you could ask the owner about the type, colour, and material of the shingles they used to get a better idea. No matter what colour and type of shingles you choose, it is essential to find the ones that are durable and match your home’s design and architecture. At Integrity Roofers, we are committed to providing high-quality, reliable roof consulting services to our clients. 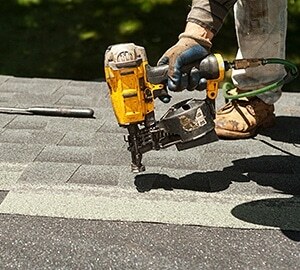 We have many shingle types including asphalt and slate roof shingles. We use certified products such as CertainTeed shingles to provide our customers with the finest and durable materials for their roof. To learn more about our roof consulting services and to choose the right type of shingles for your roof, get in touch with our specialists by calling 647-953-9365. You could also get a free estimate by filling out our online form.